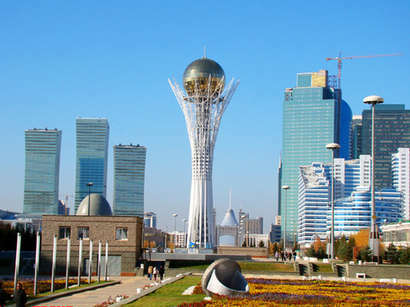 (kazinform) - Kazakhstan will create five national open laboratories in priority directions like nanotechnology, biotechnology, nuclear, information and space technologies, new technologies for hydrocarbon and mining and metallurgical industry in accordance with five scientific and technological priorities of Kazakhstan development, the Head of the State Nursultan Nazarbayev has mentioned today at the solemn session, dedicated to 60th anniversary of National Academy of Sciences in Almaty. According to the President, all scientists and research teams, including private enterprises will have an access to laboratories. 15 university engineering laboratories in priority directions of scientific and technological development will be opened for the integration of science and higher education countrywide, reports Trend. N. Nazarbayev underlined that we should pay great attention to human sciences because they claim to be one of the preferred directions of scientific investigations. Social sciences, including history, sociology, ethnography give us not only the precise diagnosis of social causes but also effective recipes for social mobilization, Kazakh President added.